GET THE EDGE - THE INSIDE TRACK - with this how-to guide Learn about the job search, application, and hiring process. Learn to develop high quality application materials and improve your interview skills - before you submit your job applications and your first interview. In this guide, read about five winning strategies, templates and examples of resumes, cover letters, and thank you letters. Read possible responses to more than 30 typical interview and questions - what to say and what not to say. 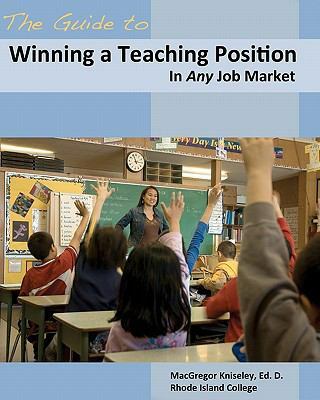 And, receive practical advice from school personnel who hire experienced teachers and recent graduates.